ACM SIGGRAPH is pleased to award the 2015 Outstanding Service Award to Mike Bailey for his leadership, expertise, dedication, and commitment to our community. 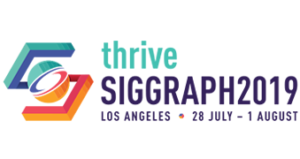 The Outstanding Service Award is presented annually to recognize a career of outstanding service to ACM SIGGRAPH by a volunteer. It recognizes an individual who has given extraordinary service to ACM SIGGRAPH, both in the trenches and in positions of more responsibility or visibility, over a significant period of time. Previous award winners include Judy Brown, Steve Cunningham, John Fujii and Stephen Spencer. Mike began his long association with the ACM SIGGRAPH Conference Courses program by participating on the conference Courses Committee in 1983, and being the conference Courses Chair for SIGGRAPH 1984. He followed with four more years of leadership as conference Courses Chair in 1985, 1987, 1988, and 1994. During those years, computer graphics was relatively new and growing rapidly. Mike’s dedication to expanded topics and excellence helped make the SIGGRAPH conference courses program the premier venue for learning the latest techniques. Thousands learned basic and advanced techniques, and contributed to the eventual result that computer graphics became pervasive and economically viable. Continuing SIGGRAPH’s educational mission, Mike was the first face many newcomers to our community saw in his role as an instructor for the “Fundamentals Seminar,” and the ‘”Introduction to Computer Graphics” course. All told, Mike has presented the Fundamentals Seminar 18 times, and has been a course speaker at SIGGRAPH North America 24 times, and SIGGRAPH Asia six times. Mike’s presentations and lectures have been the foundation for many attendees learning about computer graphics the “right” way (that is, the fun way). In addition to his leadership role in education, Mike also served on the ACM SIGGRAPH Executive Committee (1986-1990) and served as the SIGGRAPH Conference Co-Chair in 1991. He helped guide the organization and the conference as a member of its Book Series Editorial Board from 1994 to 1998, and as Editor of the SIGGRAPH Technical Slide Set from 1998 to 2000. He is also a longtime member of the ACM SIGGRAPH Education Committee, and a two-time conference Education Chair. Mike is a professor of Computer Science at Oregon State University. His areas of interest include scientific visualization, GPU shader programming and parallel computing. He received his PhD from Purdue University in 1979. 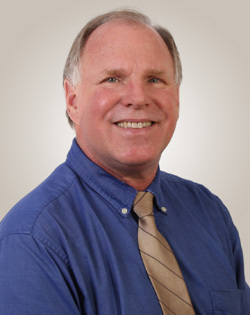 He has since worked at Sandia National Laboratories, Purdue University and Megatek Corporation. He was also the Director of Visualization at San Diego Supercomputer Center before joining Oregon State in 2004. With this award, ACM SIGGRAPH shows its pride in Mike Bailey and recognizes his broad contributions to the organization, its conferences, and its commitment to education.